Be they lawyers by day, legal superheroes by night or pro bono lawyers who are passionate about making the world a better place – each and every one of the lawyers below deserve recognition for outstanding legal efforts in their community and beyond. Most of them were nominated by colleagues, others by clients or by work partners. After our inaugural list of lawyers who are changing the world in 2018, the 2019 list is heavy on lawyers who deal with urgent crises threatening our society and our planet – climate change tops the list of urgent battles to be fought, but social mobility and diversity aren’t very far behind. We could not include all the nominations but thank all of you who contacted us to recognise exceptional lawyers; we are in awe of the impressive nominations we received. Without further ado, here is the 2019 list of lawyers who are changing the world for the better. The executive director of the Justice Centre, a local non-profit organisation providing legal support to asylum-seekers in Hong Kong, Piya Muqit is the daughter of economic migrants who fled Bangladesh during the 1971 civil war to start a new life in Scotland. After serving as the head of policy and advocacy at UNICEF UK as well as senior legal adviser at Freedom From Torture, Piya Muqit raises awareness on issues concerning refugees in Hong Kong and presses for fairer legislation and policies. Her ambition is to expand the organisation into a regional NGO leader in human rights. Victoria Anderson is a solicitor in London who is passionate about education and diversity in the legal profession. After volunteering as a group leader for a student project at City Law School about social mobility and helping their local community, the project became a charity called Big Voice and she became CEO of Big Voice London. This social mobility charity seeks to engage young people from non-traditional backgrounds in law and legal policy. Big Voice London runs projects for young people each year, including: a Mooting Competition and introduction to the legal system in association with the UK Supreme Court, a summer school discussing growing topics of law, the country’s only Model Law Commission, plus seminars, workshops and lectures. Blending business focus and corporate social responsibility, Rebecca Perlman’s job is to fight poverty and inequality – literally. While most law firms offer pro bono work to their lawyers as a side hustle, Rebecca Perlman harnessed her firm’s corporate connections and global reach to transform its pro bono work into a profit centre by supporting government and NGO initiatives in developing countries. She is also the director of the African Commercial Law Foundation, a trustee of the Prisoners’ Advice Service, a member of Oxfam’s Lawyers Against Poverty Steering Committee, co-founder of the UK Sierra Leone Pro Bono Network, and a member of the European Banks Alliance Against Human Trafficking Expert Working Group. For a decade, Angela Hayes has provided invaluable pro bono support to the Environmental Investigation Agency (EIA). This international NGO fights environmental crimes by conducting detailed investigations into activities such as illegal logging and wildlife trafficking, and by publishing its findings as reports. Angela Hayes, partner at a global law firm, plays a vital role reviewing these materials for potential defamation action. On the few occasions when EIA reports are challenged, Angela has given rapid and effective advice on how to respond, thereby ensuring the situation is resolved without developing into formal legal challenges (such as EIA being sued for libel). EIA’s investigations and reports make a demonstrable impact in curtailing environmental crime, for example triggering the recent arrest of major ivory tusk traffickers by the Chinese authorities. Social mobility is not often associated with barristers in the United Kingdom. After starring in a film on access to the profession for The One Show, Chris Daw became a role model for aspiring barristers from non-traditional backgrounds. By speaking up on social mobility, becoming a mentor and setting a mentoring campaign, he has made a real difference for lawyers from ‘ordinary’ backgrounds who thought they would never succeed in the legal profession. In addition to being pro bono coordinator in the Perth office of her firm, Lauree Coci was recognised for her professional excellence and contribution to the legal profession and wider community at the Lawyers Weekly 30 Under 30 Awards in 2018. She was an early advocate for anti-slavery legislation in Australia, assisting Walk Free Foundation with submissions to the parliamentary inquiry and making recommendations to the Attorney-General’s Department to shape the Modern Slavery Act that came into effect in January 2019. A partner and head of energy at her law firm, Sonya Bedford is passionate about renewable energies. Believing that renewable energy can take the UK to energy independence, she has been recognised for her renewable energy efforts in the southwest of England as a Community Energy Champion at the Community Energy Awards, Energy Champion at the Energy Institute Awards and Environmental Champion at the Devon Environmental Business Initiative Awards. From climbing wind turbines to supporting her village in going Carbon Zero, to hosting Facebook Live sessions and decorating her local green area in Exeter with mini windmills, her aim is to continuously raise awareness of climate change. She established the UK’s first grid consortium and grid sharing agreements for communities, and in 2018 was awarded an MBE for services to community energy. Jennifer Chika Okafor is a solicitor who regularly offers her services free of charge to people within the African community. She has taken on many institutions and individuals and won on a paid or pro bono basis. Jenny is a Women’s rights advocate and activist. She is the founder of the Nigerian Women in Diaspora Leadership Forum (NWDLF), a group which helps women realise and utilise their leadership potential. Jenny is currently concentrating on women and girls rights issues with the aim of assisting them in finding their places in society early in life without fear and minimum difficulties. Under her leadership, the NWDLF has spearheaded the fight against child marriages in Nigeria. A recognised expert on the international law of wildlife and timber trade, Carroll Muffett is an outspoken advocate for the environment and has authored numerous articles and textbook chapters on national and international environmental policy and on the trade and environment debate. CEO of the Center for International Environmental Law, a nonprofit organisation that uses the power of law to protect the environment, he is a leading voice in holding corporations accountable for climate change. 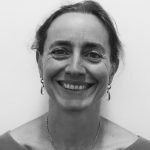 Passionate about the power of the law to protect people and the environment, Sophie Marjanac is project lead, Climate Accountability, for ClientEarth and was previously a senior lawyer in Australia where she specialised in environmental and planning law. She has also worked in the remote Torres Strait region, where she undertook litigation, negotiation and advocacy on behalf of Indigenous Australian landowners. At ClientEarth, she works on novel climate litigation strategies around the world with a particular focus on the risks of climate change to private actors and the intersection of environmental and corporate law. Specialising in environmental and international law, Roda Verheyen is a champion of climate justice in Germany. In 2002, she co-founded the Climate Justice Programme to support climate-related litigation worldwide. In 2017, she represented a Peruvian farmer and mountain guide Saul Luciano Lliuya in an appeal to the high regional court of Hamm against energy giant RWE (they won). In order to hold authorities accountable for climate change, she seeks compensation or stronger climate action through the courts and currently represents ten families in a lawsuit against EU institutions, dubbed the People’s Climate Case. She will argue in the European General Court that the EU must adopt a more ambitious 2030 climate target to defend their human rights – drawing on the UN assessment of the science. Congratulations to the 2019 cohort – they are absolutely amazing and inspiring!